Carbohydrates are potential energy. They are fuel for the body. When you eat carbs, you are giving the body potential energy that is valuable. Think about it – don’t we have to pay for electricity, for heating, for fuel? If you give your body valuable energy in the form of carbs, and your body doesn’t need the energy right then and there because you are just sitting behind the steering wheel, then your body is going to just throw that potential energy away. Your body will store it as fat! It doesn’t matter what the source of the carbohydrate is. Cookies, cakes, pastries, ice cream, fudge, candies, and all the sweet treats are carbs. So are all the sweet drinks – pop, sweet tea, sports drinks, and energy drinks. Your starches are carbs, too. This includes all the potatoes, potato chips, french fries, and hash browns. Carbs also include all the grains and cereals such as barley, oatmeal, white rice, brown rice, and quinoa. All the flours and products made from these grains and cereals such as pasta, crackers, white bread, wheat bread, and multigrain bread, too. Finally, carbs also include fruit – apples, bananas, oranges, grapes, etc. A lot of drivers, not understanding nutrition and metabolism, make nutrition mistakes that sabotage their weight loss efforts. I have heard so many stories of drivers who say, “I need to watch what I eat.” They switch from eating a small bag of potato chips, which has 27g of carbs, to eating an orange which has 27g of carbs! Your body doesn’t care that you switched from potato chips to fruit. All it knows is that you just gave it 27g of carbs that it doesn’t need at the moment, so your body stores both as fat! To make matters worse, some drivers will snack on fruit all throughout their shift, adding more carbs. If they didn’t turn their metabolism on before driving, then all this fruit is getting stored as fat. Here’s another mistake a lot of drivers make. Thinking that eating bacon and eggs is unhealthy, they switch to a “healthy” breakfast of oatmeal (carbs) with a banana (carbs) and a glass of orange juice (more carbs). For someone who wants to lose weight and is going to sit for the next seven-to-11 hours, this breakfast is not going to help. Thus, the right thing to eat is definitely not carbohydrates. So, what is the right thing to eat? The answer is protein. Protein, unlike carbs, is not a source of energy. Rather, proteins are the body’s building blocks. Every cell, tissue, organ, and structure in the body is made from twenty-two amino acids that we call protein. If you want to build something that is going to last, you want to use strong material. You don’t build your house out of straw, you use wood, stone or brick. The nature of these materials, of anything we call “strong,” is that it is hard to break apart. Compared to carbohydrates, protein is a lot harder to digest. In fact, the body has to work four times as hard to digest protein than it does to digest carbs. To do this extra work, your body needs energy. Where does the body get the energy to digest protein? Well, so long as you don’t eat carbs with the protein, then the body will use the glucose that is in the blood. However, if you did you four minutes of moving with maximum intensity and you have burned all the available glucose, then the body will be forced to burn the stored fat. And it will take about three hours to do this. In this way, your metabolism continues to burn fat while you are sitting and driving! To prevent your metabolism from shutting down during the shift, just eat some protein every three hours while avoiding carbs. Finally, when I say eat some protein every three hours, I’m not talking about eating a huge steak dinner. I’m talking about eating a handful of nuts, a cheese stick, a little tin of tuna, eggs (anyway that you like them), Greek yogurt, cottage cheese, a bag of pork rinds (yep – all protein and no carbs) or some kind of jerky. If you want to eat a protein bar or drink a protein shake, then simply choose the one with the least amount of carbs. 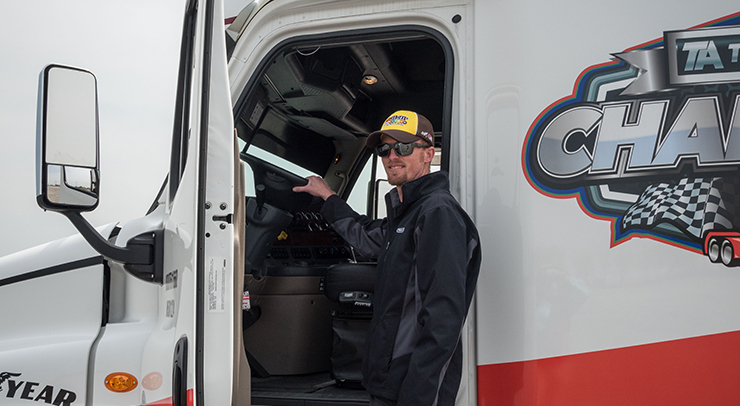 The 4 Minute Fit solution was designed to conveniently fit into the truck driver’s environment and lifestyle. You don’t need any special equipment, you don’t even need to change clothes - you can do it anywhere at any time. Drivers cannot afford not to do it. 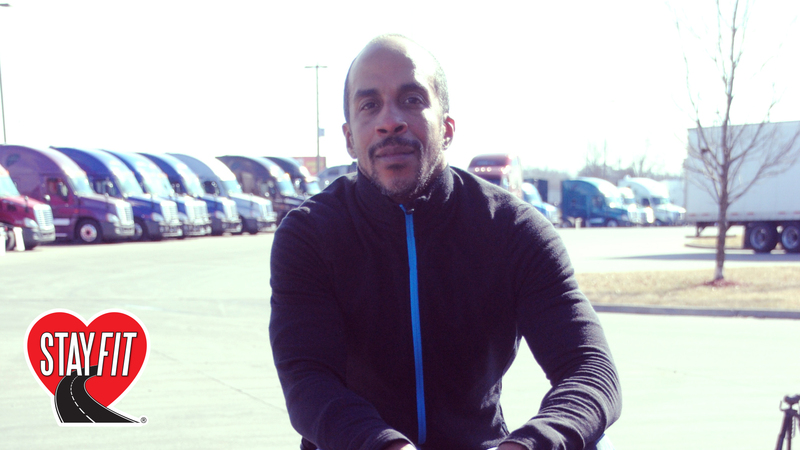 My goal is to create a 4 Minute Movement among truck drivers to reduce obesity and increase the life expectancy of truck drivers beyond its current occupational low of 61-to-64 years.